It was a busy but also massively rewarding 10 days!! To see the route for each day, click the STRAVA logo. 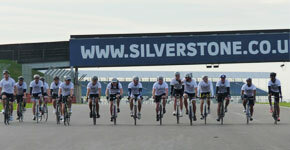 Meeting at 7.00am at Silverstone Cicuit, we'll have a quick team meeting and start on our journey at around 8.00am! We'll leave Silverstone and head South past Oxford and head towards the Chilterns. Stopping at mid-day around Basingstoke, we'll continue South towards Portsmouth and on to the ferry terminal. Here we'll board an overnight ferry with sleeping cabins to Northern France, arriving at Caen at around 7.00am. Price includes ferry crossing, bike transportation and overnight 2/4 berth cabin with en-suite. 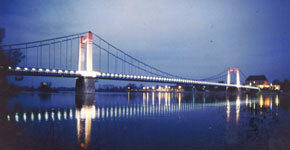 Arriving at Caen at 7.00am on Saturday morning, we'll make an early start south towards a mid-day stop at L'Aigle. Continuing South, we'll continue toward Chartres, arriving late afternoon. Price for 2 people sharing a twin bedroom with en-suite and free Wi-Fi. 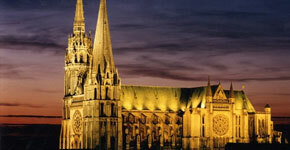 Leaving Chartres at around 8.00am, we'll again make an early start and continue South throught the Pays De La Loire region. 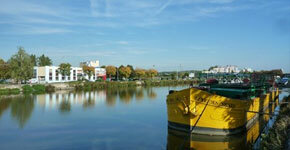 Stopping mid-day around the picturesque river at Orléans, we'll arrive at Cosne sur Loire late afternoon. Day 4's ride will be relatively hilly compared to the previous 3 days. Heading south from Cosne sur Loire we'll head through north-east France towards Montceau Les Mines, taking a mid-day break around Alluy. We'll aim to make it to Montceau Les Mines for late afternoon, but it may be later due to the numebrous graded inclines. Price for 2 people sharing a twin bedroom with en-suite, free Wi-Fi and breakfast. Leaving Montceau les Mines early on Day 5, we'll head south east. Again, Day 5 will have a few climbs, so a late afternoon finish is expected. Price for a twin bedroom with en-suite and free Wi-Fi. Leaving Lyon L'Isle d'Abeau at around 7.30am, we'll contiune east towards Grenoble and the Alps. 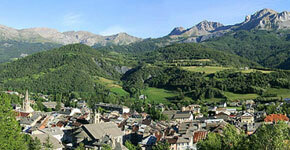 Skirting the town, we'll stop mid-day before starting the climb to the Col du Lautaret. Another early start is essential on Day 7 with some massive climbs ahead. 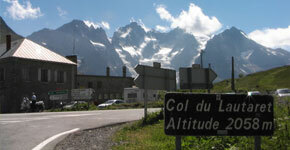 Leaving the picturesue Col du Lautaret, we'll head to Barcelonette, via the Col d'Iozard and the Col de Vars. Price for a twin / triple / quadruple bedroom with free Wi-Fi. The last day! It's a long and tough ride today! After taking on the Col du Cayolle and descending from the Alps, we should arrive at Monaco around mid afternoon time and have a bit of a party! !